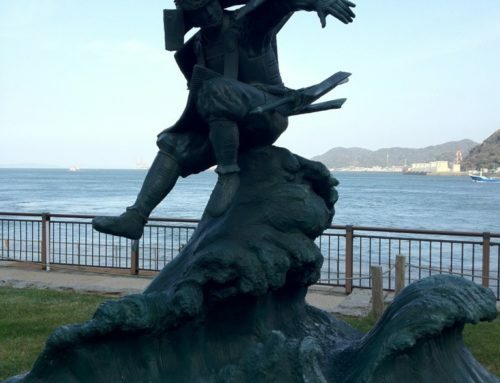 The Battle of Mikatagahara, fought in an area north of Hamamatsu (Shizuoka Prefecture), almost changed Japan’s history, as the man who would go on to become Shogun, Tokugawa Ieyasu, suffered a near total defeat to the superb fighting forces and cavalry tactics of the Takeda Clan. 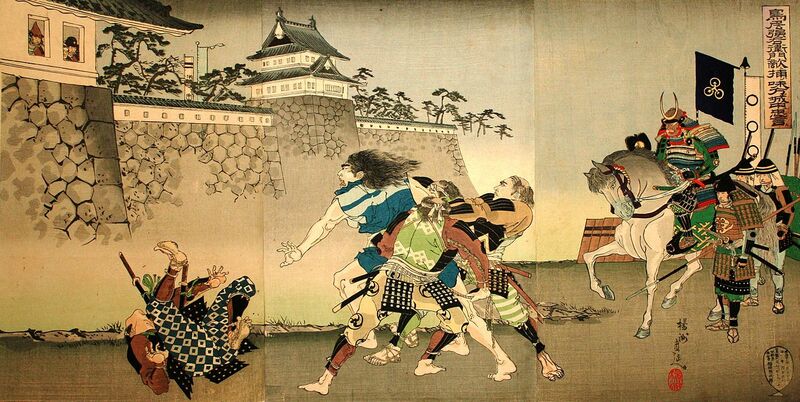 It was a battle that Ieyasu would remember to his final days. What saved him was a forward thinking general, and an empty castle. Takeda Shingen was the master of Kai Province in modern day Yamanashi Prefecture. He was the only Daimyo at the time boasting the numbers, the drive and skill to rival Oda Nobunaga. 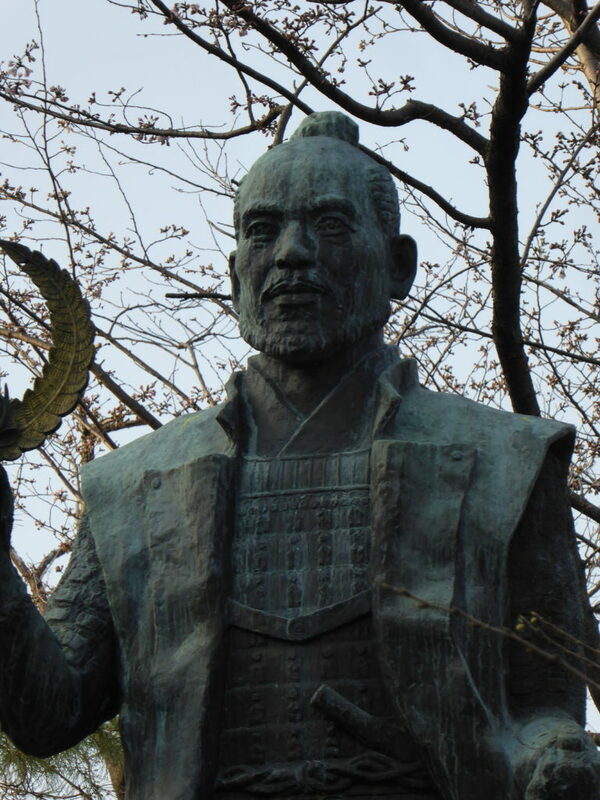 He had conquered Shinano (Nagano) and was ready to expand his national presence. When the snows of northern winter had blocked his main adversary, Uesugi Kenshin from making any moves against him, Shingen commenced making his moves southwards to the lands held by the Tokugawa, lands won from the Imagawa following their defeat by Oda Nobunaga at Okehazama in 1560. 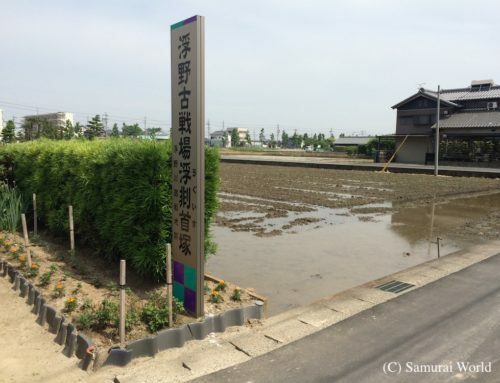 The former Imagawa lands of Totomi, were shared by the Takeda, and by Tokugawa Ieyasu, who had relocated his headquarters to Hammatsu castle to better consolidate his holdings. Details of the battle were recorded in the Koyo Gunkan, a chronicle noting the military exploits of the Takeda Clan’s major battle strategies, tactics and the results, views on the warrior code, and advice on conduct during campaigns. It provides some of the most detailed descriptions and statistics of Sengoku Period warfare available today. The book even goes as far as to list the entire Takeda forces for 1573. 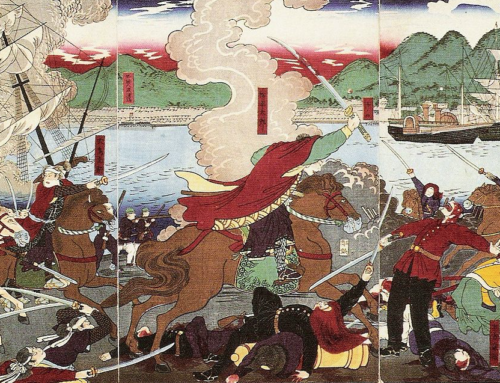 According to the books, of the 33,736 enlisted troops, 9,121 were horse mounted cavalry with 18,242 samurai followers. There were 5,489 ashigaru, (foot soldiers) with another 884 detailed to the lord’s personal attendance. The diaries also list the number of kitchen staff, banner bearers and pages, doctors, vets and even Buddhist priests brought along in support. 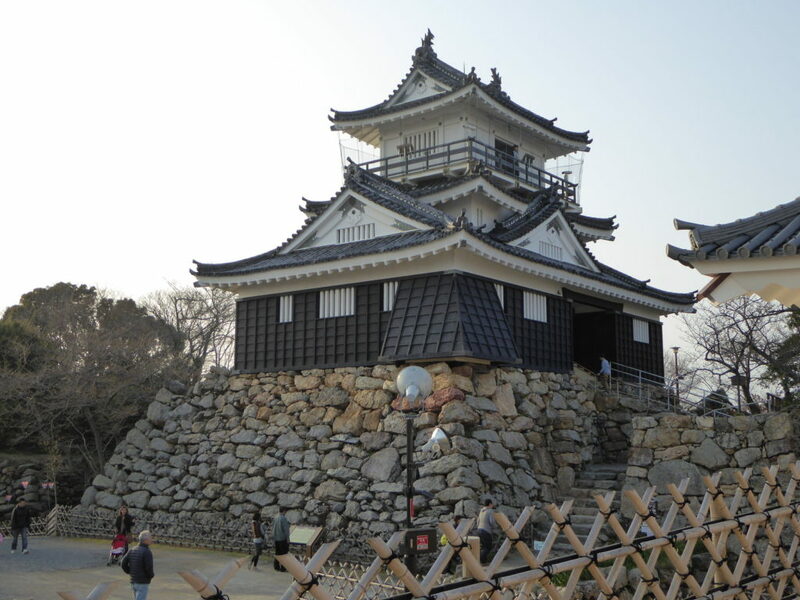 Shingen had annexed the nearby castle town of Futamata in late 1572 and established a forward base there, returning some months later. Shingen’s intent it seems was not to engage Ieyasu, nor take Hamamatsu as such, but to attack Nobunaga and capture Kyoto. 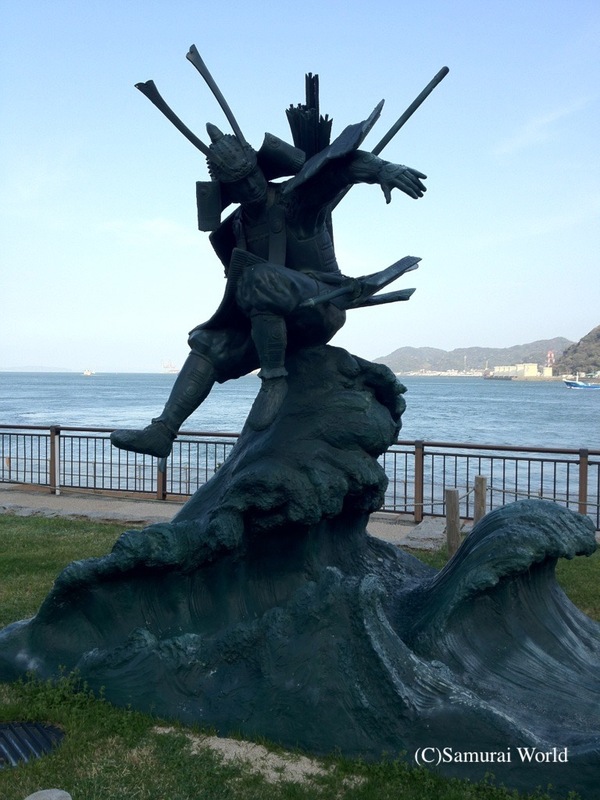 Ieyasu refused him passage through his lands. Facing the Takeda threat of an estimated 35,000 samurai with 8,000 troops of his own, and supported by 3,000 Oda troops, Ieyasu at odds of three to one, met the challenge on the high plains of Mikata, north of Hamamatsu. Ieyasu’s numerous generals and advisors, even the commanders of the Oda troops suggested allowing the Takeda pass, leaving defense of the region to the larger Oda forces further south. Ieyasu ignored their advice. The Takeda quickly adopted the Gyorin, or “Fish Scale” formation, while Ieyasu’s samurai were lined up before them. Tensions ran high as snow began to fall. Around 4pm, Ieyasu’s front-line matchlock gun troops were ordered to open fire. The use of the guns was supposed to have acted as a deterrent against the Takeda cavalry. Instead it encouraged them. The cavalry charged and easily broke through the front lines, and gouged straight into the Oda forces, scattering them and mowing them down before circling around and returning to their starting lines. The Oda reinforcements had been decimated. 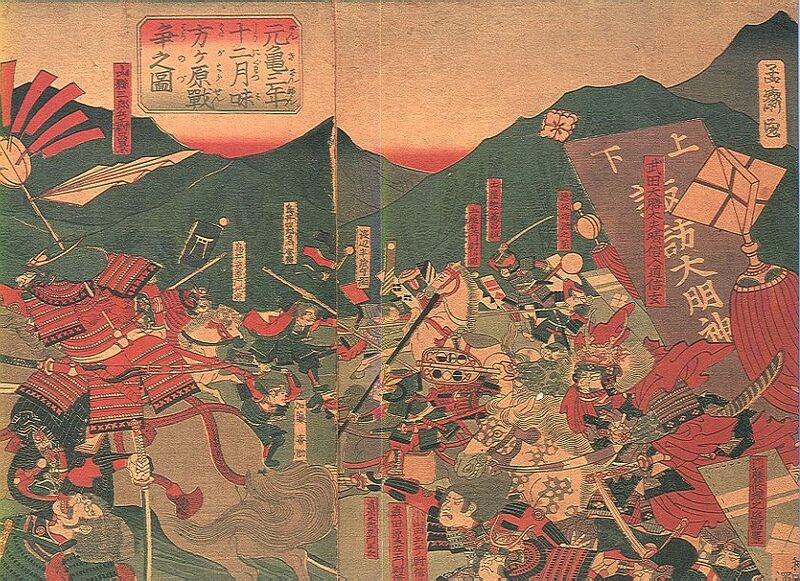 Shingen then ordered a second attack by a fresh set of mounted samurai . A frontal assault again by a wave of cavalry, this time led by Shingen’s son and heir, Katsuyori, and followed by the hoards of Takeda foot soldiers sent the Tokugawa into retreat. 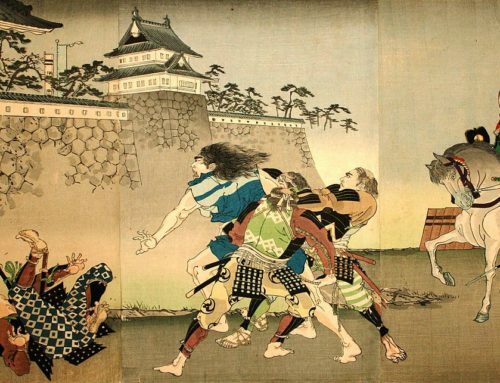 As the army was rapidly overwhelmed, Ieyasu’s general, Natsume Yoshinobu demanded his lord retreat, berating him for risking his life, and almost throwing the daimyo onto his horse before slapping it hard to send it rushing back to Hamamatsu Castle. Natsume then stormed into the thick of the raging battle, claiming himself to be Ieyasu, providing time for his lord to make good his escape. Natsume too was killed in battle, along with almost the entire Tokugawa forces. The Takeda are estimated to have lost between 500 and 3,000. While on the run back to his castle, Ieyasu paused briefly at a roadside stall to eat some sweets, however in his haste, he and his men forgot to pay, and so Ieyasu found himself pursued not just by the Takeda, but by the old woman stallholder who chased them down. Ieyasu barely managed to make it back to Hamamatsu alive with just five remaining samurai. Word of their defeat had already reached the castle, however, upon his return, he ordered the main gates of the castle be left wide open and had the large war drum beaten. All around the castle, tripod mounted brazier fires were lit to guide the survivors home. This tactic, known as the “Empty Castle Strategy” worked. 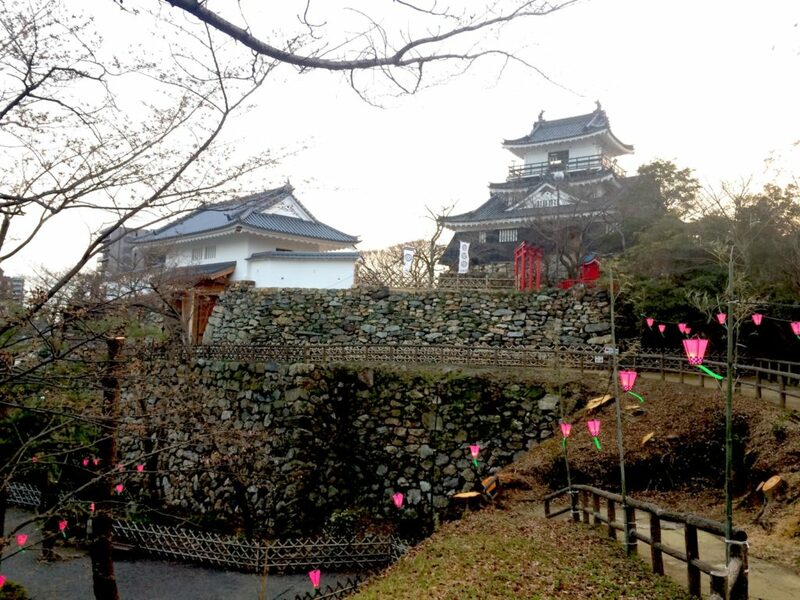 The Takeda forces on hearing the drums, seeing the fires burning and the wide-open gates, suspected a trap, and instead of entering, set up camp in front of the castle. That night, about 100 Tokugawa samurai led by Okubo Tadayo and Amano Yasukage snuck into the Takeda camp and created ruses that sent the attackers into confusion. Fearing reinforcements could arrive any minute, and uncertain of the numbers of remaining Tokugawa forces, the Takeda not wanting to be occupied in a siege, quietly withdrew. 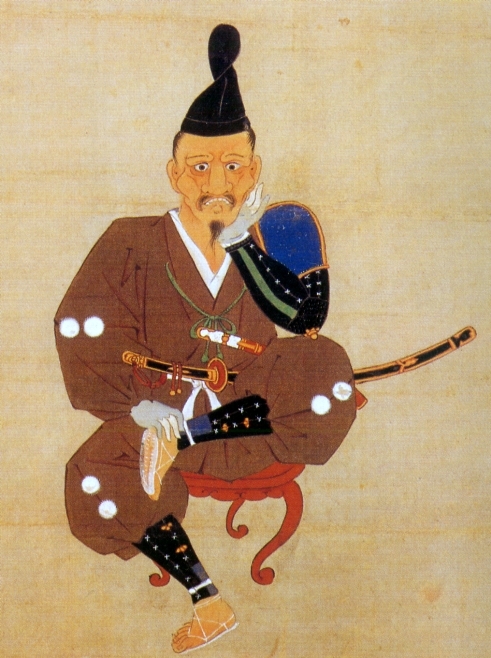 According to legend, after the battle, Ieyasu had a portrait painted of himself seated on a war stool, head in hand and with a look of utter despair on his face. It is written that Ieyasu then carried the portrait with him on all subsequent campaigns and would look upon it in times of doubt or stress in an effort to remind himself of the fear of defeat, and encourage himself to strive harder. However, recent papers published by researchers at the Tokugawa Art Museum, keepers of the portrait are now questioning the story behind this particular picture, as well as its connection to the Mikatagahara campaign. The Mikatagahara battlefields are now mostly lost, consumed by residential housing and a huge modern graveyard. The only real monument to the battle is difficult to find, being at the north-western end of the graveyards’ car park. Other area names, such as Zenitori (Lit. 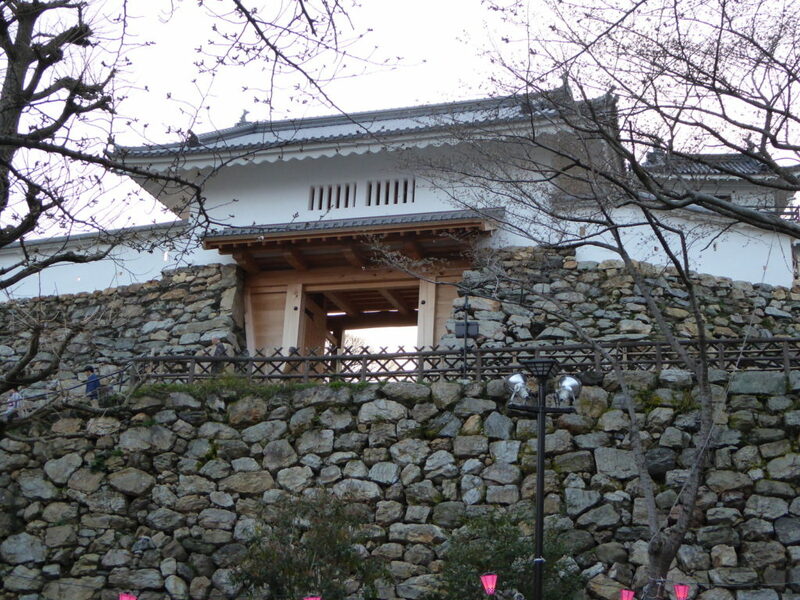 coin take) where Ieyasu was chased by the old sweet stall vendor, remain from the days of the battle.